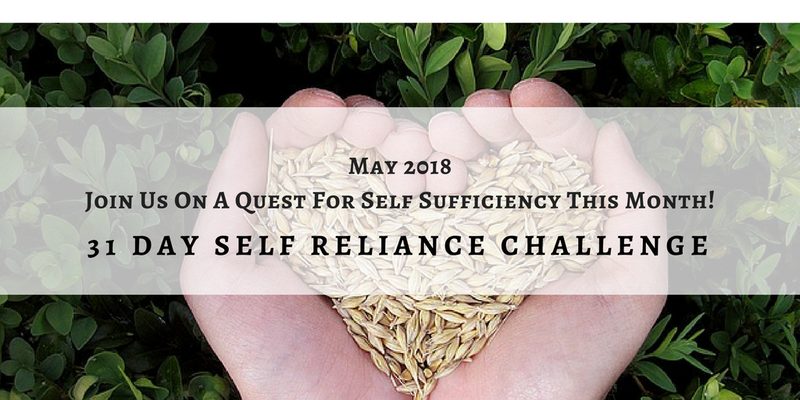 Welcome back to the Self-Reliance Challenge! I've joined a great group of bloggers who are striving to be more self-reliant. All during the month of May we're sharing our goals, ideas, successes and maybe even some failures. 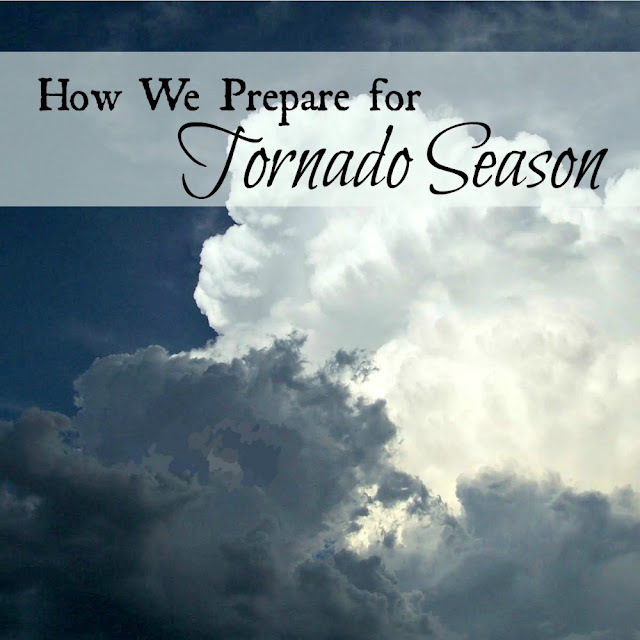 I've linked to all the bloggers at the bottom of this post so you can visit them too. You'll find my posts for week one and week two here. 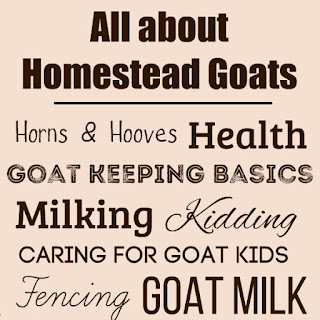 Water is life, so it's one of the most important things on our homestead. Besides the two humans that live here, the animals, birds, garden and even the bees need water to exist. We go through a lot of water here at Oak Hill. In my early years I took water for granted. I turned the tap and out it flowed. Hot water, if that's what I needed. Now that I'm an adult who pays a water bill, I try to conserve water as best I can, both to save money and because Oklahoma summers are usually very hot and very dry. One of my goals during this month-long self-reliant challenge is to rotate my water storage. One way we've stored water is to save juice and soda bottles, wash them out, refill them with water, and store them in a stable temperature (basements are great for this purpose). I rotate the water annually - although I should probably do it every six months. I meant to do this while our granddaughter visited during her spring break so she could help, but it didn't happen. So, now is the time, even though I don't have help. Our self-reliance challenge has been a great motivator. 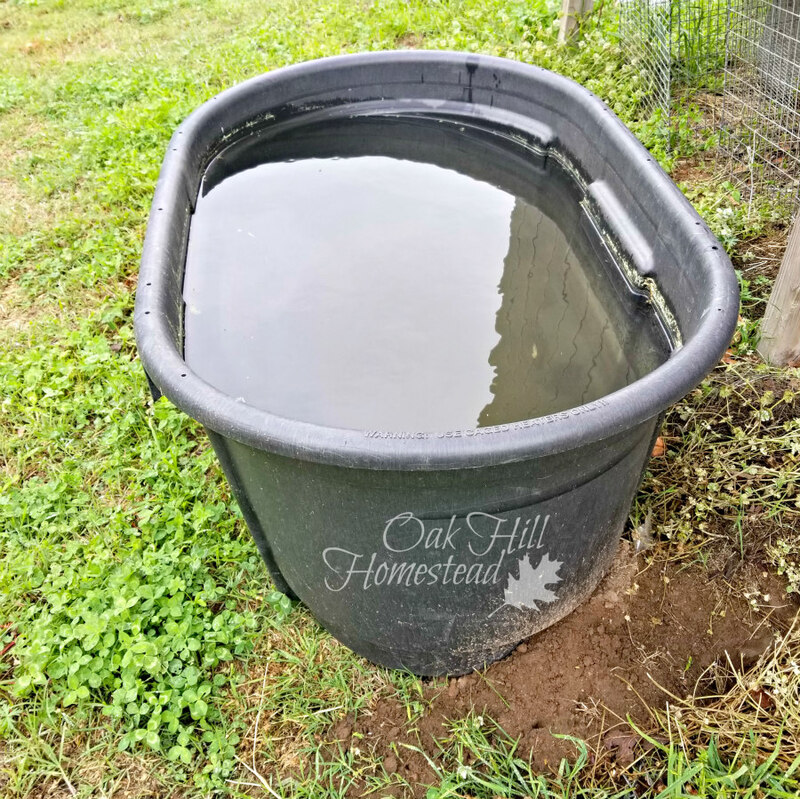 Our horses' water trough is just outside the door from where the water bottles are stored, so I dump the water in the trough, then refill the empty bottles in the kitchen. That job is now DONE. 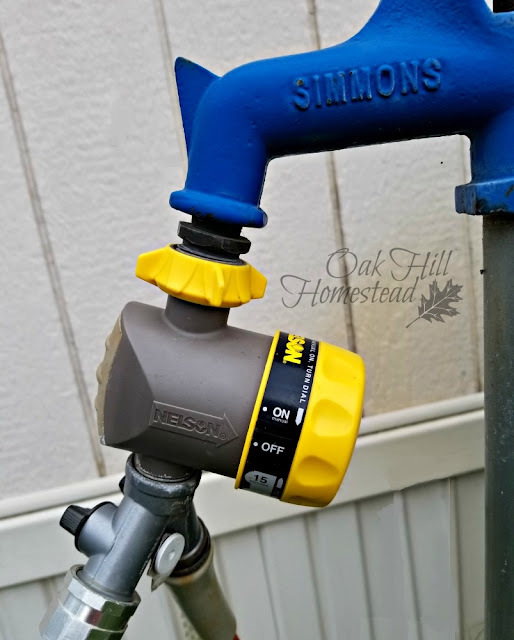 Challenge: Rotate your stored water this month. A month or so ago I made a serendipitous discovery. Our old horse trough has a small leak that seems to come and go. We replaced the trough with a new one and repurposed the old one as a chick brooder in the mudroom. When our last batch of chicks outgrew it and moved to the coop, we moved the trough outside, against the mudroom wall. After a week of rain, the trough was full of water that had run off the roof, and the leak seems to have healed itself, at least for now. I filled kitty litter jugs with this water to carry to the chicken and duck coops (our hoses don't reach that far). It's become part of my after-a-rain routine. Free water, and it's pure rainwater too. Great for watering your garden or at least the seedlings in early spring, if you don't have to haul water to a chicken coop. We also save rainwater in this 200-gallon tank. Hubby rigged up a big funnel system for it that works great. This tank waters the garden with the rainwater that plants love. Doesn't it seem that plants grow faster and better when you use rainwater? 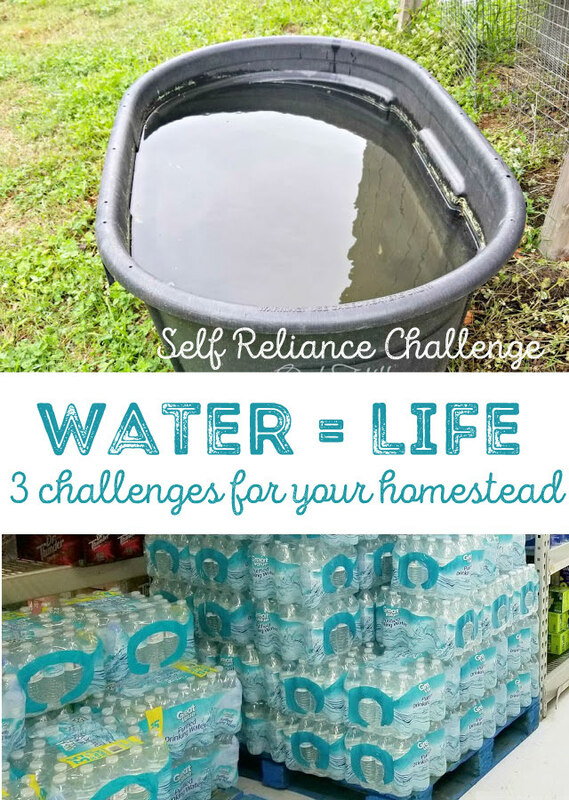 Challenge: Do you have rain barrels? If not, is there somewhere you can "catch" rainwater? I have another confession to make (did you see my confession last week?) Sometimes we used to forget to turn off the outside hydrant, letting gallons and gallons of water go to waste. I've found a solution: this water timer (affiliate link) that shuts the water off after a certain period of time. This timer has saved us so much money. One of my goals this year is to be a better steward of what we have; this timer saves water as well as money. If you check out the Amazon reviews for the water timer (affiliate link) you might notice that some of them are negative. This is the same timer I bought two years ago; mine is still working great. I even bought a second one to have in reserve if this one breaks. Mine shuts off at about 15 minutes instead of zero, but I can live with that. My tip: I never turn the timer off. Instead, if I'm through with the water before the timer runs out, I shut off the hydrant and let the timer run out on its own. I think this is a key factor in why mine has lasted so long and other people have had problems with theirs. and figure out how to cut down on waste. 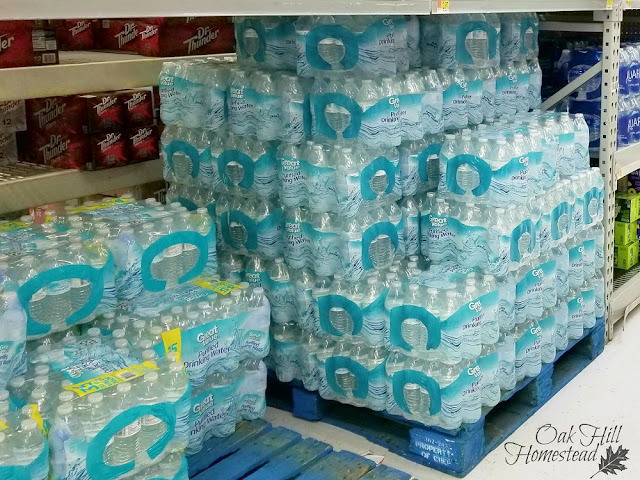 We also continue to stock up on bottled water, and I've told myself [again] that I need to be better at keeping the Berkey water filter full. I'll keep working on that one. What are your self-reliance goals for the upcoming week? 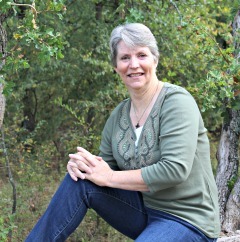 Join me and ten other bloggers in a month-long challenge to be more self-reliant. 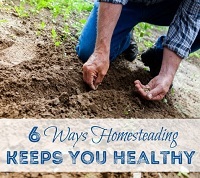 My post last week was about fighting garden pests. 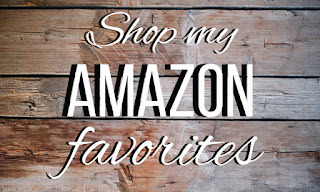 Be sure to visit the other bloggers who are participating and read about their progress this week too - scroll down below the image to find the list of their blog URLs. I'll be sharing some behind-the-scenes photos on Instagram this month, as well as adding to my Self-Reliant and Self-Sufficient Pinterest board. If you'd like to be reminded of these weekly challenge posts, you can subscribe to my Self-Reliant Challenge mailing list. I'll send the weekly challenge posts to your inbox as soon as they're live. 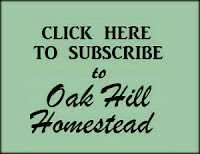 (Note: after the challenge is over, you'll be moved to the Oak Hill Homestead weekly-ish newsletter mailing list. You can unsubscribe from either mailing list at any time. If I know it's going to rain, I pull every big bucket and wheelbarrow out. Like you, we can get some dry spells, especially in the summer. We live in North Texas. It's good to hear that I'm not the only one who does that. Our wheelbarrow collects a large amount of rain too. 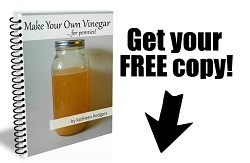 Great ideas for saving water, Kathi! I have been guilty of letting my sprinkler go overnight on the garden. But I am much better now! Thanks for sharing! 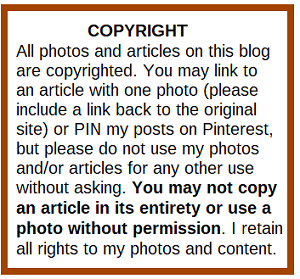 Thanks for the post, Kathi. Here in South Africa we need to be water wise too! One of my self reliance challenge goals is to improve our rain water collection. That's an excellent goal, Frank, and really it's an easy one to achieve in small ways, isn't it?